Should I set forth with the good or the bad news first? Personally, I have always loved to pick up the bad news prior to the good ones. Anyways, I have been really ill since last Tuesday and I don’t remember being this ill ever before. It just started with me controlling my bladder one fine morning as I was too sleepy to get off the bed. Once I decide that it was time to proceed to the loo, within 2 mins, I was in huge pain and urination was not possible for the whole day. This led to nasty abdominal pains, headaches and frequent vomiting. My family members brought me to a 24 hour clinic and I was diagnosed with UTI (Urinary tract infection). The doctor gave me some medicines and told me “if this doesn’t work, please go to the hospital the following day. They would just put a tube inside of you” I freaked out BIG TIME. Just a tube inside of me?? What was “just” supposed to mean in that sentence? He sure made it sounded so damn comfortable! The process is known as intermittent catheterisation by the way and yes I googled for the spelling and you are not allowed to judge me. To cut a long story short, the medicines seems to be working. Despite feeling weak, I definitely feel better but I am still keeping my fingers crossed. People are all saying, this is something that would usually keep recurring. I have been trying to drink up more. From water to cranberry juice and coconut water. It’s time for me to be more careful I guess. When I was sick, I was surrounded with so much love. My mom was forever trying to make me eat and rest properly. My brother was going all around finding food and he also paid for the medical bills which came up to more than a hundred bucks! The sister-in-law was fussing over me non-stop and frequently massaged me. Not forgetting the cousin who drove me to and from the clinic. There was also Tm who told me to take a break from work for the whole week while he did the work, all by himself. Yes, I was really sick but I am also very blessed to have family members who really cared. Moving on to the good news, I have added a yummy recipe to my repertoire. Not just any recipe but one that received a double thumbs up from my mommie! 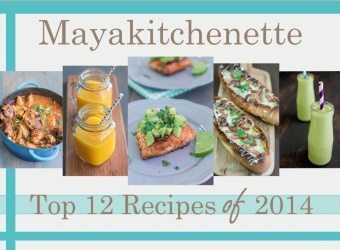 Yup, this recipe is for keeps and that is good news.. right? 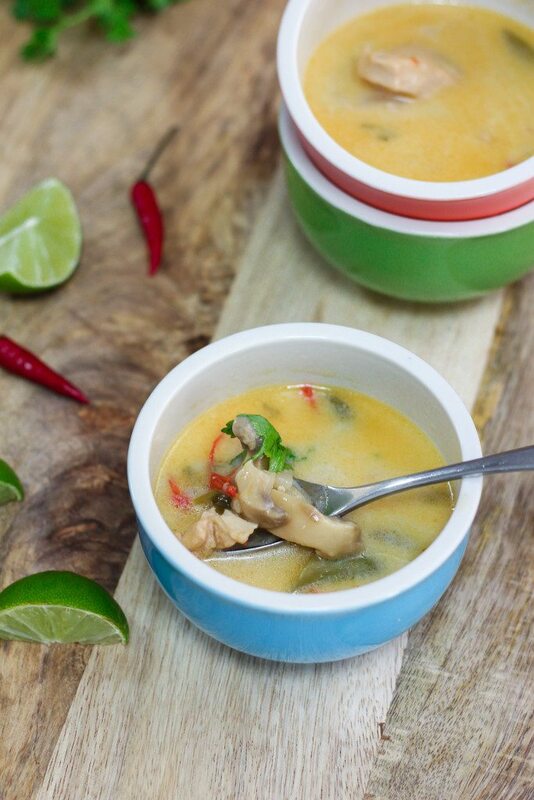 Chicken soup has always been my all time favorite, but this Thai Chicken soup brings a simple chicken soup to a whole new dimension. 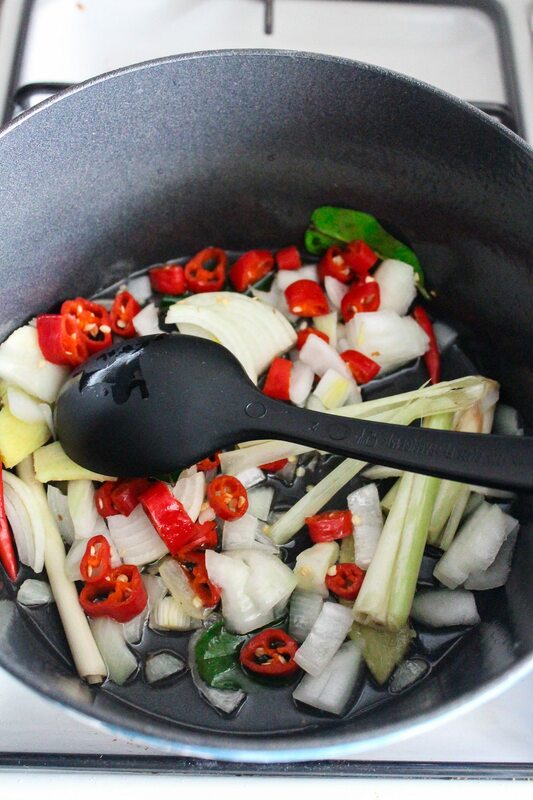 The addition of the fish sauce adds such a piquant note to the soup. The mild sweetness from the brown sugar, the warmth from the chilies and the zesty smell of the lime rind and juice, kudos to the Thais for coming up with such a lovely, lovely soup! I have never tasted a soup that delivers so many flavors in just one bowl. The wholesome combination of chicken, mushrooms and vegetables is so welcoming. Topped with cilantro, this is officially my favorite soup at the moment. This is truly comfort food at its best! This soup is easy to prepare and you can conveniently make a huge pot of this, hence it is perfect for potlucks or when you have a lot of guests coming over. Although perfect on it’s own, this is DELICIOUS with glass/rice noodles and even rice! If you prefer it vegetarian, just omit the chicken, use vegetable stock instead and bulk up on the veggies. Carrots, peas and celery would be a good start! Most of the ingredients can be found in the Asian supermarkets. If you are not able to take your hands on the ingredients like lemongrass and kaffir lime leaves, omit it, by all means and in case you are not a fan of cilantro, feel free to swap it with basil. Besides chicken, shrimps would be perfect too. The world really is your oyster, in this case. My mommie had two bowls of this for Lunch + another bowl for dinner. In fact, she told me that I should cook this for Eid. This itself is a huge review, coming from someone who can be quite a picky eater at times. 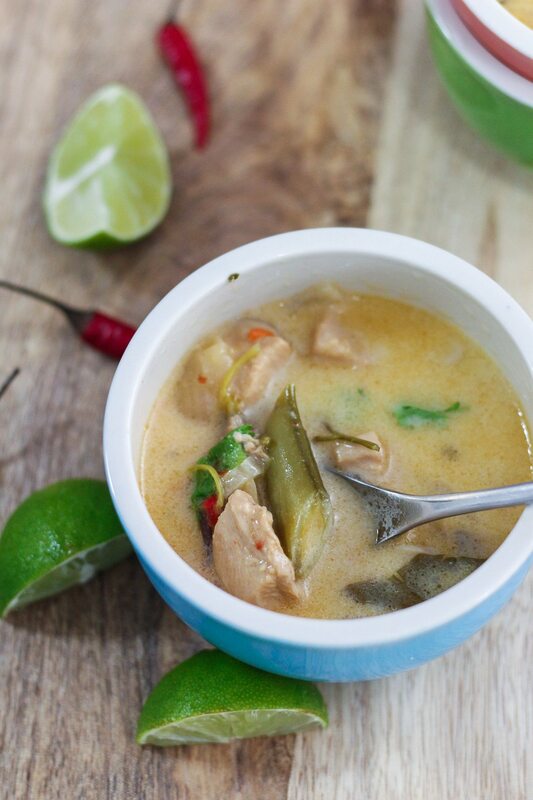 This Thai Coconut Chicken Soup is such a feel good kinda food. A bowl of this would generally put someone in a good mood. Heat 2 tablespoons of oil in a pot. Add in onions, lemon grass, garlic, ginger, chillies, kaffir lime leaves and saute for 10 minutes. Mix in chicken chunks and cook for another 5 minutes. 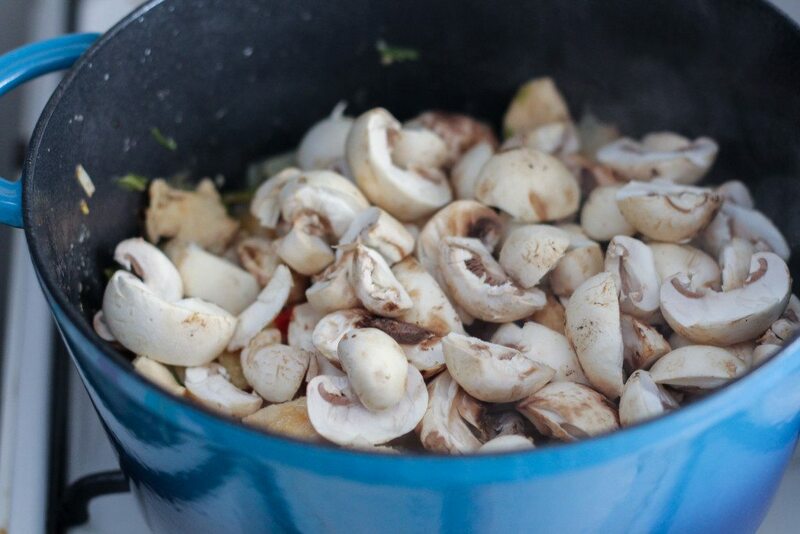 Add mushrooms and pour in chicken stock. Reduce heat to low and simmer for 10 minutes. Stir in fish sauce, salt, brown sugar and coconut milk. Add in snow peas/sugar snaps and simmer for 5 minutes. Finally add in the lime juice, lime zest and chopped coriander. Welcome dear. Glad it turned out well for you!